Lidstone - Commercial Finishing. 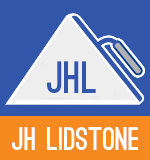 J H Lidstone (Plastering) Ltd takes the Health and Safety of all our staff, customers and fellow contractors very seriously. J H Lidstone (Plastering) Ltd takes the Health and Safety of all our staff, customers and fellow contractors very seriously. All JHL staff must prove that they can not only do the job, but also work to the stringent guidelines and standards of the Health and Safety Executive. Following MCG (Major Contractors Group) guidelines, the JHL workforce is trained by the CITB, and carry the CSCS card to prove their qualification. The CSCS (Construction Skills Certification Scheme) is linked to the Government's initiative to drive the cowboys out of the construction industry, and J H Lidstone wholly supports the move towards a fully qualified workforce. Health and Safety is a priority for the whole industry, and each project undertaken by JHL has a rigorous assessment to ensure that Health and Safety considerations are adequately met.